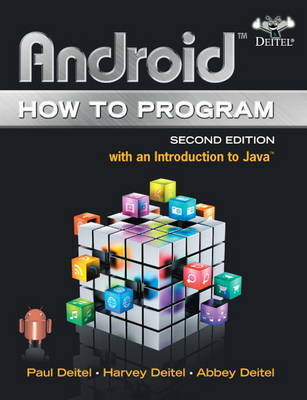 Android How to Program, Second Edition provides a clear and entertaining App-driven introduction to Android 4.3 and 4.4 development for both introductory- and intermediate-level programming courses. It also serves as a great reference and tutorial to learn Android programming. The Deitels' App-driven Approach is simply the best way to master Android programming! The Deitels teach Android programming through seven complete, working Android Apps in the print book and more online. Each chapter presents new concepts through a single App. The authors first provide an introduction to the app, an app test-drive showing one or more sample executions, and a technologies overview. Next, the authors proceed with a detailed code walkthrough of the app's source code in which they discuss the programming concepts and demonstrate the functionality of the Android APIs used in the app. The book also has an extensive introduction to programming using the Java language, making this book appropriate for Java courses that want to add an App-programming flavor. Teaching and Learning Experience This program will provide a better teaching and learning experience-for you and your students. *Add an App Component to your Java Course: The appendices provide a condensed, friendly introduction to Java and the object-oriented programming techniques students will need to develop Android apps. *Motivate Students with an App-driven Approach to Android 4.3 and 4.4 Development: Concepts are presented in the context of 7 complete working Android Apps, using the latest mobile computing technologies. *Enhance Learning with Outstanding Pedagogical Features: The Deitels present hundreds of Android short-answer questions and app-development exercises complete with syntax coloring, code walkthroughs and sample outputs.